How Do You Develop the Perfect Morning Routine to Reduce Anxiety and Make Your Life Better? 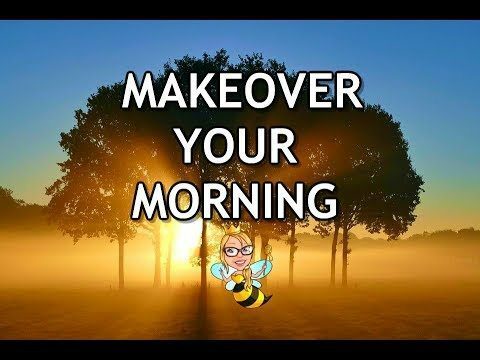 Can changing your morning REALLY change your life? Usually you’ll find that there are many answers to this question and many things you can learn. But one of the most consistent things you’ll find is that the successful individual has a morning routine. Another thing you’ll find that many very successful people do is to start their day with meditation. Meditation is a fantastic tool for combating stress and helping yourself to cope better with the challenges that life faces you with. What’s more, is that meditation can help to boost your concentration and create more grey matter to improve your reasoning skills and working memory! Gratitude exercises are very valuable for being happier and more effective. The problem is that many driven people forget to stop and take stock of what they’ve already accomplished or how good their lives are already. Instead, they only ever think about the things they have yet to accomplish and what they want next. Check out my Gratitude Journal – in PDF (so you can print at home) or workbook form. Spend five minutes in the morning then and write down three things that you love about yourself and 10 things you’re grateful for. These can be big things or small things. But simply by focussing on them, you will feel more content and happier and your work will be more fruitful. Starting the day with a to-do list is an excellent way to enhance your productivity. It’s also a very good way to avoid feeling overwhelmed by the volume of things you need to do. Make a list of all the things that you absolutely must prioritize and then the things you’ll do if you can. Split your day into segments and then just work through each job one at a time! I put together this Productivity Planner and I absolutely LOVE the way it works – take a look! This video offers even MORE ideas – take a look! Are you tired of letting a narcissist control you? Do you want your life back? Are you ready to TAKE it? This is how you take back your power from a narcissist in a toxic relationship. Being in a relationship with a narcissist on any level can make you feel like you need tools – a strategy, at least – to help you get through it. You’ll find yourself researching ways to deal with narcissists and their gaslighting attempts, and you might even manage to become a bit of an expert on the topic. 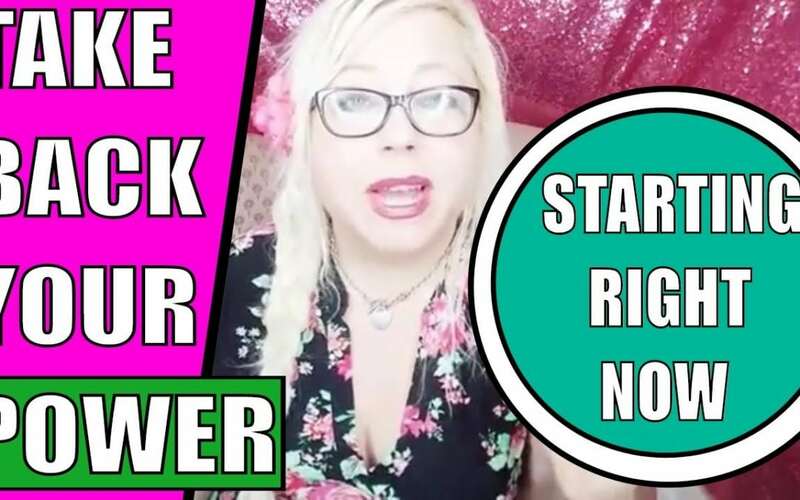 But what do you do when you are ready to take back your power from the narcissist? Well, you start with these seven steps. You use the law of attraction to your advantage. You combat trauma bonding and CPTSD with strength and focus. You push away manipulation and invalidation from someone who has NPD or another cluster b personality disorder. Do you always seem to fall short of success? You might be unconsciously keeping yourself from reaching your goals, even when you think you really want to achieve them! Learning about self-sabotage – and your reasons for it – can help you to stop this unconscious cycle so you can go on to create a life you desire. 1. Fear of failure. One of the reasons you may not reach for success is because you’re afraid to fail. Failure is hard to manage, ignore, or handle. It can eat away at your self-esteem and make you doubt your abilities, so it’s not surprising you’ll do anything to avoid it. 2. Low self-esteem. If you lack confidence and suffer from low self-esteem, self-sabotage may feel natural for you.You might think you don’t deserve success, so you unconsciously destroy any chance you have of getting it. 3. Fear of change. Success is often tied to change, such as a new job, better home, or other things. You may be sabotaging your efforts because you don’t want anything to change. You’re used to your current lifestyle and don’t want to modify it. For example, you may claim that you want a mansion or a private jet, but you don’t actually want to pay for these things or be responsible for them. So, you ensure you never have them in the first place. 4. Control issues. You might self-sabotage in order to remain in control. Are you allowing your control issues to prevent you from reaching success, Control and perfectionism are often tied together. If you want everything to be perfect all the time, then you may be losing out on big and important opportunities. 5. Habits. Sometimes your habits can sabotage you without you even realizing it. For example, if you have a habit of always being late to meetings, then you may miss your chance to impress a client and get a raise. You self-sabotage your own success because of an old habit. Habits such as drinking and doing drugs are also extremely sabotaging. 6. Negativity and criticism. 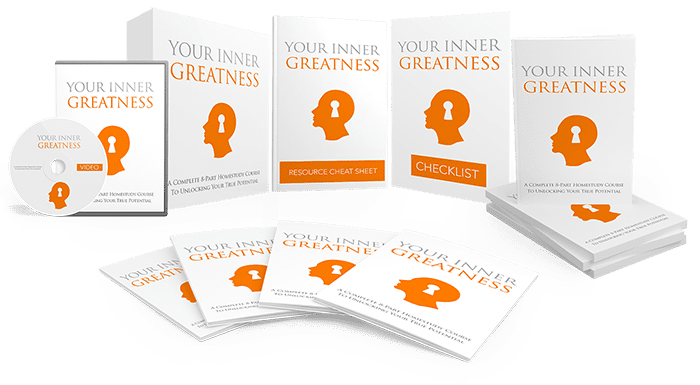 The criticism may come from your own internal negative voice, or it may be coming from outside sources such as your family members or friends. Negativity and criticism can be internalized and cause you to sabotage success. If you constantly hear that you’re not good enough, smart enough, or talented enough, then you begin to believe this. You feel that you don’t deserve to be successful. You may not want to try things that could help you because you don’t think you’re worthy of them. Family, friends, coworkers, bosses, and others may have you believing that you’re useless, dumb, or worthless. In addition, research shows that your parents can affect you as an adult. If your parents exhibited self-sabotaging behavior, then you may copy it throughout your life. You grew up seeing this pattern and have a hard time breaking out of it. Their insecurities can carry over to your life. If you’re sabotaging your own life and future, you can change. It will require effort and time, but it’s possible to reshape your thoughts. Whenever a thought appears that doesn’t support your efforts to achieve your goals, immediately replace it with a positive thought, instead. You’ll get better and better at both recognizing unsupportive thoughts and changing them the more you practice it. Soon, you’ll be on your way to success! 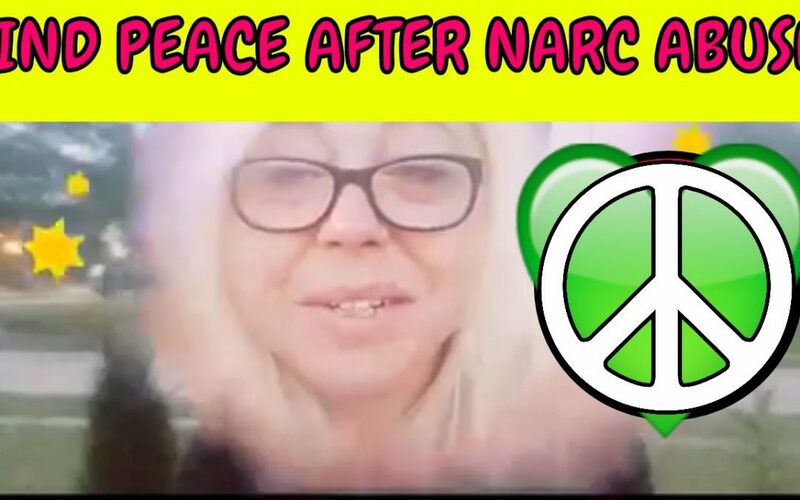 Even in the midst of and in recovery from narcissistic abuse, creating inner peace is a choice. I know, it doesn’t feel like it. But I promise you, it can be done. I speak from experience. So give me a minute, and see if you can feel me on this one. Each day, we’re faced with the choice to create peace or create stress. This can be a challenging task on a good day. On a bad day, it feels impossible. The constant ups and downs in life are a given. They’re largely uncontrollable. But you can control your response to them. You can learn to feel peaceful in challenging times. Give yourself the advice you would give a friend. It’s difficult to make decisions when you’re emotionally compromised. But the path forward is more obvious to you if someone else is struggling. Imagine that your friend has the same challenge you’re facing. What advice would you give them? Ask yourself what you’re learning from this experience. Are you learning the importance of saving your money? Are you learning not to overextend yourself? Are you learning how to deal with the death of a loved one? Every hardship provides a lesson. Determine what you can learn from the experience. Write in a journal. Let your emotions flow out onto paper. There’s something cathartic about writing. It feels like the emotion is leaving your body and taking residence in a new location. After unloading your negative emotions, use your journal to make a list of possible solutions to your dilemma. What resources do you have available? Whom can you contact for help or support? What are you afraid of? If you’re feeling out of sorts, you’re afraid of something. What is it? Defining your fear will make it a little less scary. Ask yourself what is the worst thing likely to happen. Practice mindfulness. We make our challenges more challenging by continuously churning through them. You think about your issue while you’re in the shower, driving to work, eating lunch, talking with friends, or watching TV. You never get a break. Mindfulness is simply paying attention to your environment and the task at hand. If you’re eating dinner, your mind should be on eating, not thinking about your difficulties. It’s challenging to control your thoughts, but the peace you experience can’t be beat. Tame your mind first. It’s a common mistake. You focus on solving your challenge first. Then you believe you’ll feel better. This is logical, but slow and challenging. Get your mind under control, and then your problem is easier to solve. You’ll also feel better more quickly. Quiet your mental noise first and then search for solutions. Remember all of your previous issues that turned out okay. Think about the challenges you’ve faced in the past. You survived and moved on. You’ll get over this, too. Believe that everything will work out for the best. What was the worst thing that happened to you during your elementary school years? Look for the helpers. Whether there’s a fire, an earthquake, or a homeless family, there’s always someone helping. There are people available to help you, too. Look for the helpers and you’ll find them. Are you self-aware? After you’ve been through narcissistic abuse, you might not be as self-aware as you think. The definition of self-awareness is having a high degree of knowledge about yourself. It’s awareness of your habits, emotional tendencies, needs, desires, strengths, and weaknesses. Having a high level of self-awareness is a powerful tool. It allows you to change your life more effectively, since you know how you tick. People who lack self-awareness find life to be frustrating, quite often – so right now, that might include you – and it most definitely includes a lot of narcissists, believe it or not. I know that sounds confusing, but stick with me. 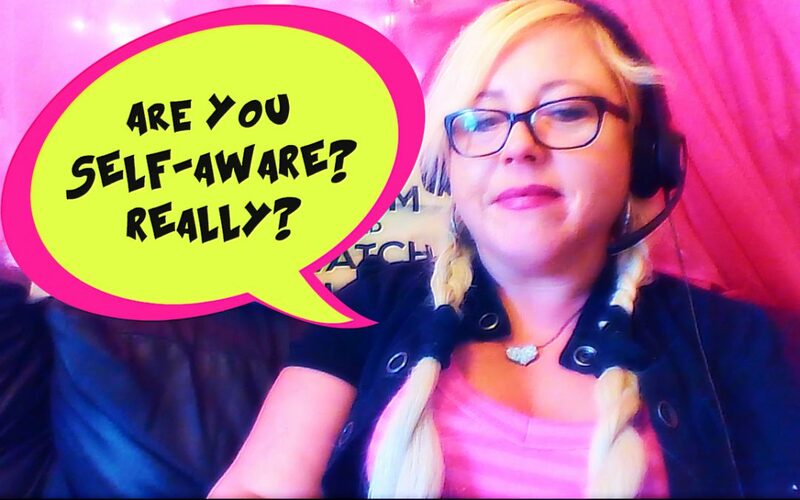 In today’s video, I’ll offer tips and life hacks to help you to develop your self-awareness, even after narcissistic abuse. What are you thinking when you’re feeling nervous? Notice that similar situations result in similar thought patterns. Do you judge people and situations? Do you spend a lot of time thinking about the past or the future? Do you expect the worst to happen or the best? Or do you adopt an attitude of, “Let’s just see what happens” instead? What are you feeling throughout the day? What do you feel while you’re eating? Once you’ve notice your emotion, question it. How do I normally react in this situation? 3. Understand how you deal with frustration or emotional discomfort. A huge chunk of your time is spent trying to make yourself feel better. If you feel slightly frustrated or uncomfortable, then you may spend a tremendous amount of time and energy trying to change the situation or the others around you to resolve those negative feelings. Do you try to control others? Do you attempt to distract yourself? Is your first instinct to leave the situation? Do you surf the internet or eat a big bowl of ice cream? Where do you find your friends? Are most of your friendships long-term or short? When your friendships end, what is the common cause? What types of people do you prefer to be friends with? What types of people do you avoid? 5. Examine your intimate relationships. Do you see a pattern in the type of people that you’ve been involved with? What are the negative characteristics they all share? Why do you think those people appealed to you? What were your shortcomings in your relationships? Are you clingy? Jealous? Too focused on work? Failed to communicate your needs? Think about how you contributed to the failure of your relationships. Have you changed your approach from relationship to relationship, or do you continue to repeat your mistakes? 6. Keep a journal. There’s no better way to learn about yourself than to record your thoughts, feelings, and experiences each day. Studies have shown that we don’t remember our past very accurately, so record it while it’s still fresh in your mind. Be sure to include your high and low points for the day. Note how well you ate and slept, too. You might find some useful information. * Create a habit of writing in your journal for at least 15 minutes each day. You’ll start to notice patterns and learn a lot about yourself. Understanding yourself might be the most important piece of your self-development puzzle. If you don’t understand yourself, it’s difficult to apply all the great information available today. Maintain an awareness of your thoughts, feelings, and actions. Examine and question them. You’ll be surprised by what you find.